Thacker Harvesting Ltd has openings for select operators for our combines, tractors and grain carts and tractor trailers. We offer new employees the chance to attain their Class 1 /AZ commercial license through the use of our in house driving instructor. Thacker Harvesting Ltd will supply all Work Visas and Out of Country Medical Insurance. We also supply room and board for employees. Please look at our job descriptions, not all are required but must be willing to learn. All equipment instruction will be done in house by previously qualified harvest employees. Feel free to ask any questions. Our employment season begins in March and runs until November. 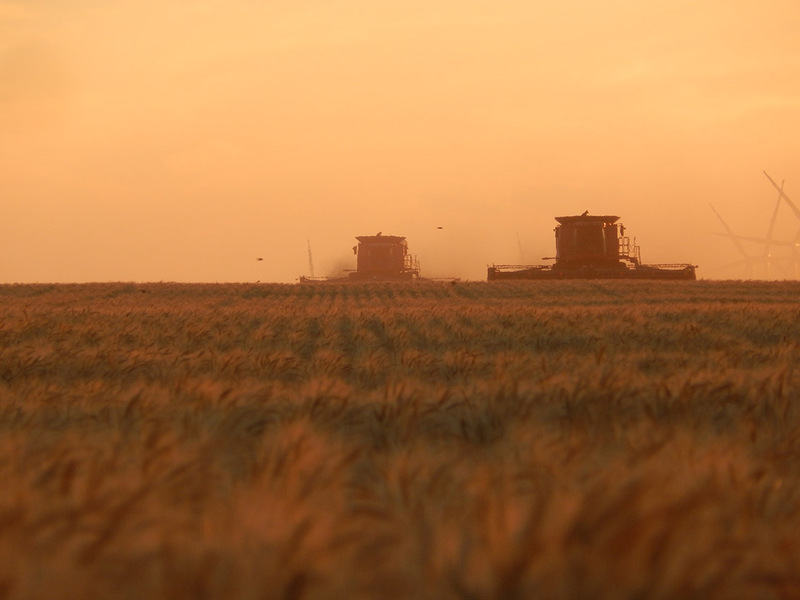 During these months your adventure will take you from our home in Burdett, Alberta, Canada to the High Plains of the USA to custom harvest wheat, barley, durum and canola. You will be traveling through several US States including Montana, Wyoming, Nebraska, Kansas, Colorado and Oklahoma. While you will be working hard to bring in the crop for our customers, you will also have the opportunity to have mini vacations on rain days, go white water rafting, catch a major league baseball game, Yellowstone Park, or travel to the Rocky Mountains. 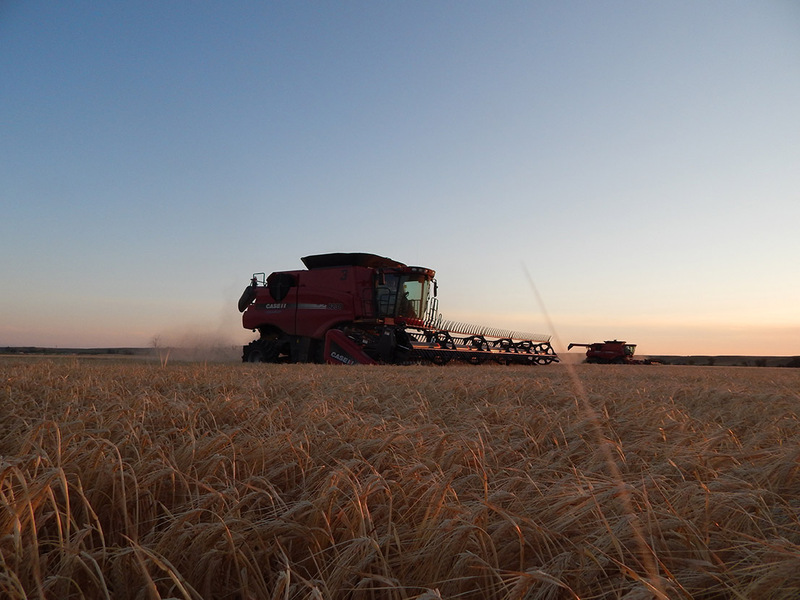 We encourage all to apply with us at anytime during the year as we need extra operators at different times of the harvest season, whether it be from employees returning to school or the addition of equipment to or operation. - Always operates the machine in a safe manner and be familiar with all safety devices on the combine. - Able to perform all routine maintenance on combine & header including adjustments, refuelling, greasing and cleaning machine filters and cab. - Help load and unload combine and header. - Perform walk around inspection. - Check for cracks in the welds of the cart. - Be able to safely unload the combine while it is cutting. - Posses a valid drivers license and provide driver’s license abstract. - Maintains cleanliness of the interior and exterior of the truck. - Tarp all loads and secure equipment for transport. - Accountable for all elevator grain tickets and forwards them to the supervisor at the end of each day. - Always operates the truck in a safe and courteous manner at all times. - Must maintain accurate daily log and pretrip books. - Class 1, 1A, or AZ driver's license with air brakes endorsement. - DOT drug testing required. - Perform household type maintenance in crew trailer to insure it is tidy and clean. - Each employee is responsible to do his own laundry. - Must be clean and presentable each day. - Must be able to enter the USA. - Mechanically inclined and basic welding. - Basic fire fighting training and Standard first Aid. Our housing consists of 3 crew trailer units ranging from 40 to 53 feet that are set up with A/C, full kitchens, full bathrooms, washer/dryer, flat screen TVs with Satellite connection. We will be staying in full serviced RV parks in small towns that offer all amenities. While on harvest, employees will be supplied with groceries for making their breakfast and lunches and hot meals (take out and home cooked) will be delivered to the field. Rain days usually consists of a family type BBQ.